Recently, Aarts Plastics and German company Mäurer & Wirtz, have jointly developed new packaging for Otto Kern. For this new fragrance, the Dutch injection-moulding firm signed on to develop the fragrance overcap, done in injection moulded Surlyn. Apart from the 30ml and 50ml production versions of the overcaps, two moulds, with special requirements for Surlyn injection moulding, were constructed by the supplier. 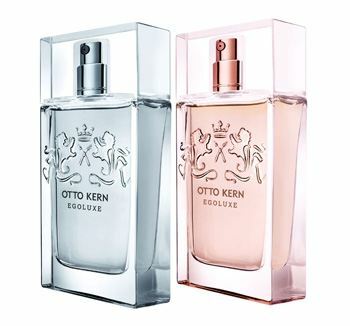 The fragrance (called Egoluxe) is a extraordinarily glamourous, the luxury and high-end status of the product being completely underscored by its package. 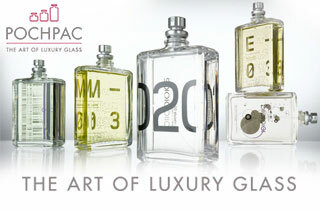 The stylish and high-quality bottle and cap designs provide a modern silhouette with clear lines and plain elegance. The stylized and contemporary rendition the Otto Kern coat of arms, showing two lions rampant, symbolizes a promise of quality which is visible on both bottle and overcap. The fragrance overcap, made of the transparent, glass-like material Surlyn, features the coat of arms and is resistant to scuffing and shattering.